Katie Ledecky will throw the ceremonial first pitch at Wednesday's Nationals-Orioles game. The Bethesda, Maryland, native, 19, won four gold medals and a silver medal in Rio. 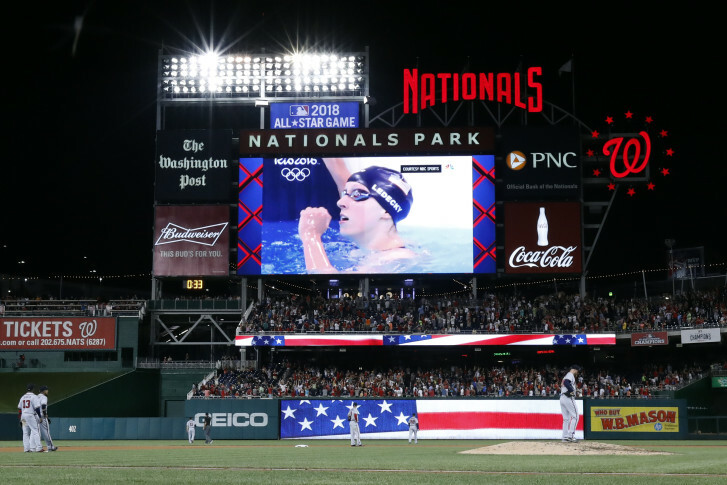 WASHINGTON — Olympian Katie Ledecky will throw the ceremonial first pitch on Wednesday’s Beltway Series game between the Washington Nationals and the Baltimore Orioles. The game starts at 7:05 p.m. at Nationals Park in Washington, D.C. The Bethesda, Maryland, native, 19, won four gold medals and a silver medal in Rio, breaking her own wold record in the women’s 400 freestyle and an Olympic record in the women’s 800 freestyle. Tickets are still available as of Tuesday night.